Congress and the media have been debating whether life imitates the movies or movies imitate life. What is there to debate? Both sides are right some of the time. For example, there once was a movie about diamonds being a girl's best friend. At the time of the movie, that might have been true. Now, in 1996, girls are out, women are in, and diamonds are worn by both men and women. You might think diamonds are everyone's best friend. But I would argue that as winter approaches and the temperatures start dropping and the nights start getting longer, a pilot's best friend is his or her pilot operating handbook (POH) not his or her diamonds. No, we have not been confined in a closed hanger too long with an engine running. If you are wondering what diamonds have to do with flying, let us show you how we can go from diamonds to handbooks in one easy leap of our governmental imagination. Ice is one of the movies' slang terms for diamonds. Ice, the other kind, is one of the greatest threats to pilots in winter. Both kinds can ground you. Ice, the real cold stuff, can keep your aircraft on the ground. And if you are buying a lot of the other kind of ice, large, clear, cut diamonds for example, you probably can't afford to get off the ground. If you do get off the ground, ice, the frozen kind, can cause you to fall out of the sky if you are not careful. And if you are not careful, the other kind of ice can also make you spin out of control. Either way, both kinds of ice can get you into trouble. If falling out of the sky is not bad enough, if you survive the resulting crash landing, ice and cold can be deadly if you are exposed to its effects too long without adequate protection. Simply stated, cold and the resulting hypothermia can kill you if you are not prepared to combat its effects. People die each year from exposure because they were not dressed and prepared to survive. The interesting thing about hypothermia is that you don't have to have subzero temperatures for it to hurt you. The right combination of above freezing temperatures, wind, and lack of proper protection can create a potential threat to you. This is why when the wind is blowing, it is important for you to stay dry because when you are wet, the resulting wind chill can quickly cause you to become a hypothermia risk. The fact is every pilot must be prepared to survive his or her winter flight from takeoff to planned touchdown because statistically a few pilots will not complete every one of their planned flights this winter. Although diamonds may have been a girl's best friend in years past, your best friend during winter flying is the knowledge contained in your pilot operating handbook (POH) and a little common sense. Your POH contains information that should keep your aircraft and engine operating throughout your trip as long as you operate within your aircraft's limitations and the weather's. Diamonds might have been a girl's best friend in the movie, but during the winter of '96, carb heat; the proper multi-weight engine oil; a warm winter coat; your old, warm, sleeping bag; and a pack of matches may be your life saving guardian angels this winter. As we say each year, one of the keys to safe winter flying is knowing the safe winter operating procedures and limitations in your aircraft's operating handbook. For example, if you fly a small, normally-aspirated aircraft in northern Minnesota, you might need to install engine baffles if they are recommended or required by the handbook. Your handbook will also explain proper cold-weather starting and run up procedures for your aircraft. Failure to follow the recommended procedures, including using pre-heat if required, might damage your engine. Your POH might say that you have to wait longer for your oil pressure gauge to register a readout because your engine's cold, congealed oil might take longer to develop a reading. One winter event pilots should avoid, if at all possible, is handpropping their aircraft. The danger of slipping into the propeller, particularly on an ice-covered ramp, is not worth the potential savings. If you have to handprop your aircraft, please make sure the aircraft is securely tied down, and if someone is manipulating the controls while you handprop, the person knows what he or she is doing. (The FAA recommends that someone qualified be at the controls while you handprop.) The reason is simple. The FAA has a classic old film showing a terrified passenger in a runaway single engine aircraft out of control on a ramp after the pilot handpropped the aircraft and could not get back into the unsecured aircraft. Least we slight those who fly large aircraft--if you fly a business jet or turboprop, do you have any restrictions or requirement to use a fuel additive? Do you know all of your operating limitations for your aircraft? If not, your flight manual has all of the details. The importance of a proper preflight during cold weather operations cannot be stressed enough. Frozen control hinges, improperly adjusted control cables, if so equipped, and ice in your fuel system can all spell gloom and doom. When preflighting your aircraft, know and follow safe deicing procedures for your aircraft if the aircraft is covered with ice or snow. You should pay particular attention to eliminating any frost on your aircraft because frost on the wings can result in a serious lost of lift. A warm hanger is the best way to de-ice an aircraft. When operating in snow, slush, or rain you need to make sure that your properly deiced aircraft does not re-freeze as you taxi for takeoff or climb after takeoff. Control surfaces have frozen and wheel wells have jammed tires as a result of water and ice picked up during taxi. If you have any doubts about the airworthiness of your aircraft, go back to the hanger or ramp and check it out. If you have a delay, such as waiting for a clearance before taking the active runway, you need to make sure your aircraft is ready for takeoff. There have been several well publicized airline accidents involving aircraft that had been deiced, but, because of delays waiting for takeoff, the aircraft became covered with ice and had an accident on takeoff. If you are using a deicing fluid to remove ice or frost, follow the directions carefully. Some fluids are designed for use on large, high speed aircraft and are not suitable for use on small general aviation aircraft with their slower rotation speeds. The problem is some fluids are designed not to blow off an aircraft until a certain speed is reached. This speed may be above the rotation speed of many general aviation aircraft. If you try to takeoff with the fluid still on your wings, it can be as bad as trying to takeoff with frost or any other type of contaminate on your aircraft. You just don't know what is going to happen. You may find yourself becoming a test pilot for your combination of aircraft, deicing fluid, and weather conditions. Two of the most important sections of your POH deal with flight into known icing conditions and cabin heating. Your handbook states if your aircraft is approved for flight into known icing conditions. If you don't have the proper aircraft certification and the required operable onboard deicing and anti-icing equipment, the rule is simple: You can't fly into known icing. If your aircraft is approved for such conditions, you must know the proper operating procedures and limitations for using your equipment. For example, if your aircraft has rubber deicing wing boots, does your POH recommend letting the ice build up to a certain minimum depth before operating the boots? You should know. For those of you who haven't read a POH for an aircraft with wing boots, the reason is if you operate the boots too soon, the expanding boots may not be able to break away the thin ice layer over the boots. The boots may only push the ice layer away from the wing and boots without breaking it. The result is more ice can then build up on top of the ice layer and the boots cannot remove any of it. You also have to know the proper use of anti-icing and deicing equipment. Improper use may make a safety device ineffective or possibly damage your aircraft. For example, some aircraft have operating limitations for their embedded electric wire windshield heaters to avoid damaging the windshield when the aircraft is on the ground and the system is turned on. It is also important to know the difference between deicing and anti-icing. There is a difference. Anti-icing equipment helps prevent the formation of ice buildup. It may not be able to remove ice after it forms. Deicing equipment can remove ice after it has formed. Your POH will tell you how and when to operate the specific anti-icing and deicing equipment that may be installed onboard your aircraft. Another important thing to know is what to do if your aircraft is not approved for flight into known icing conditions but you inadvertently encounter icing conditions en route. Your POH will have recommended operating procedures such as landing with a higher airspeed than normal or not operating your flaps. The idea is to carry enough speed to avoid stalling your aircraft when it is carrying a load of ice as well as avoiding changing the airflow over the wings at the last moment. The key is knowing what your POH recommends because you are becoming a junior test pilot since the aircraft was not tested or certificated for such conditions. Equally important is the safe operation of your aircraft's heating system. If your aircraft has a simple heater shroud or muff system like many small aircraft, you need to ensure it is airworthy because a leaking exhaust system could cause deadly exhaust gasses to enter your heater system and cabin. The reason is these systems use a heat shroud around part of your aircraft's hot exhaust pipe to heat ducted, incoming fresh air that is then used to heat your cabin. Deadly carbon monoxide and other noxious gasses can enter your cabin heater system if you have a leaking exhaust pipe inside the shroud. If you have a fuel operated cabin air heater, do you know the proper operating procedure? Have you thought of what you would do in case of an inflight heater fire? Do you know if the heater has its own fuel tank or does it burn the aircraft's fuel? If it burns the aircraft's fuel, do you know its effect on your aircraft's total endurance? These are some of the questions that your POH can answer. Finally, although we have been reminding everyone that a safe winter flight starts with a properly maintained aircraft being flown by a current and knowledgeable pilot, no reminder on safe winter flying would be complete without reminding everyone to wear appropriate winter clothing and to carry a survival kit. 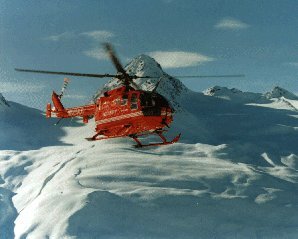 As stated in past FAA Aviation News articles, the state of Alaska and Canada have laws dictating the types of survival equipment that must carried in aircraft. But in the lower 48 states, the pilot in command of non-commercial aircraft must decide what to carry. A good guide is to dress for the worst conditions predicted for your route of flight and to be able to survive for the time needed to be found by searchers. The more remote the area or the worse the predicted weather, the more complete your survival kit must be. One safety item that every pilot has available every day of the year, is the option to plan his or her flight route to avoid remote areas by flying along more populated and hospitable routes that offer better off airport landing areas or airports along the route. In many cases, the safety factor of a safer, but slightly longer route outweighs any minor savings in flight time of a more direct but riskier route. No matter which route you fly, you should always file and activate a flight plan. Because without a method of notifying would-be rescuers that you have crashed or have made an off-airport precautionary landing, you might be in for a very long, cold, and risky survival situation. One where diamonds don't count. To put a sparkle in your winter and the upcoming holidays, do your part, read and follow the instructions in your POH, add a touch of common sense, and you have the recipe for a safe winter of flying. Who knows, if you are lucky, there might even be some of that other kind of ice in your future. The expensive, cut, kind of ice. The kind measured in carats.